Horses are naturally wild animals that have to be trained and looked after with great care to keep them disciplined and calm. There is an old saying among us cowboys that goes like, “before you buy a horse stick your head between its legs”. You will need to see how the horse handles various situations. One of the most important things you will have to do is visit the horses stable. Make a close inspection of the place for chewing or holes in the wall or stacked up hay, this will give you a clear picture of how calm and composed the horse is. You have to ride a horse to learn its story. Only then you will know how the horse moves and what she thinks about you. 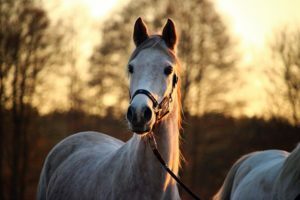 Confidence is key for any good horse; a new rider mounting the horse should not discourage her or make her act strange. Ride the horse and a good confident horse will allow you to feel her energy and move as you command her to without any hassle. 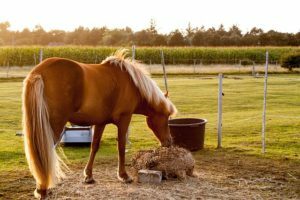 Notice the various parts of the horse’s body for any signs of diseases or infections or drug affected, for example, a drugged horse will have a drooping lip and his mouth will not look even. A good horse will have well-defined eyes, large nostrils, a neck proportion to the body, moist pink gums, loud gut sounds and long straight legs are all signs of a healthy horse. See if his attitude is to be around people, a calm-looking horse isn’t always calm, try to pet him to see if he will allow you to so and then decide. Do not do impulse buying based on how the horse looks alone. For example, a wild mustang may look beautiful but if you try to even go near him, he could kill you with a single kick. Always ask the seller many questions. Check how the horse reacts around other horses. Notice how he rides with his trainer, a horse with an attitude will ride hard without allowing even his trainer to control him much. Make sure that the horse that you are buying has an optimum body temperature of 99 to 101 degrees Fahrenheit and also make sure that the temperature is taken right after leaving the stable and not after a ride. Moving over to respiration, a healthy horse takes 8-15 breaths a minute. The respiration pattern is noted by observing the horse’s ribcage, one exhale and inhale is one breath. Health problems can be noticed with the pattern of respiration, for example, place a stethoscope on the horse’s windpipe and listen if the respiration appears is accompanied with strange sounds then the horse has allergies.